WILLEMSTAD - Curaçao-based Blue Bank International denies having been aware of fraud by some defendants in a corruption case involving large oil traders and the Venezuelan oil company PdVSA. The bank says that it has not facilitated fraud by failing to comply with banking rules. The bank has informed that via its lawyer. 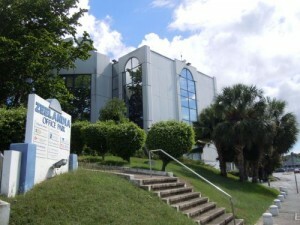 Blue Bank is one of the defendants in a lawsuit filed earlier this month in Miami. Two other banks have also been summoned. The Venezuelan state oil company PdVSA accuses in that case, among other oil traders Trafigura and Vitol of payment of millions of dollars in bribes via a special set up trust. In exchange for the money, the oil traders would have received confidential information about future oil deals from PdVSA. The Venezuelan group claims damage of more than 5 billion dollars in lost sales. In total, dozens of companies, such as corporations and individuals, are accused in the lawsuit, including Trafigura Beheer in the Netherlands and Blue Bank International in Curaçao. That bank would, according to the charges, have facilitated fraud. However, the lawyer of Blue Bank International expressly denies that the bank has 'any knowledge of the alleged nature of said payments from an account held there if these have already taken place'. The bank also states that it complies with applicable laws and regulations, including in the area of client identification with financial services.